This TPG writer has a secret: I’ve traveled to almost 50 countries, lived in Europe for the past 10 years and get on a plane every other week — but I actually hate flying. I’ve had a few severe turbulence experiences that left me nauseous and panicked, and I find it increasingly difficult to deal with bumpy flights the older I get. Do I know I’m being irrational? Of course, but statistics show I’m not alone in my fears: The National Institute for Mental Health states that 6.5% of the population suffers from aviophobia, an extreme fear of flying, and many more likely suffer from light nerves or occasional anxiety related to air travel. Still, I refuse to let my dislike of bumpy air cramp my style, and I’ll continue to to fly around the world — thanks to the help of some of the below apps. If you’re a nervous flyer, check one out; hopefully they’ll help you have a calmer flying experience or, better yet, overcome those fears of flying. Think of Valk as your in-flight travel therapist who helps control panic before and during your flight. The app offers breathing and calming exercises that will help you to relax as well as making sure you’re prepared before heading to the airport so you’ll be less stressed. During moments of turbulence or anxiety, you can press the panic button and an automated therapist will talk you through things. If the app simply isn’t enough to calm your nerves, the Valk Foundation has therapeutic sessions you can sign up for to deal with your fear of flying. Get the app for $3.99 on Google Play or Apple. 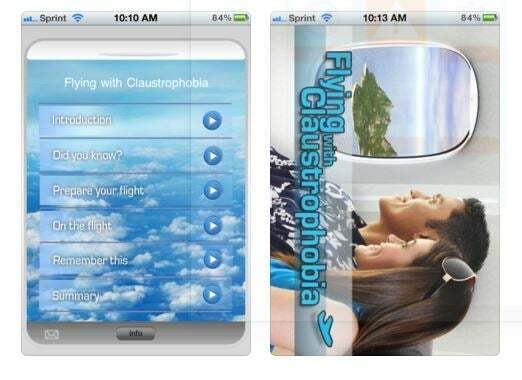 This particular app was designed to help nervous flyers whose fears are based specifically in the claustrophobic sensations you have while trapped within closed confines of an airplane. Flying with Claustrophobia uses facts to help calm those who suffer from the fear of being in enclosed spaces by explaining specific things you can do before and during your flight to decrease panic and anxiety. Get the app for $2.99 on Apple. 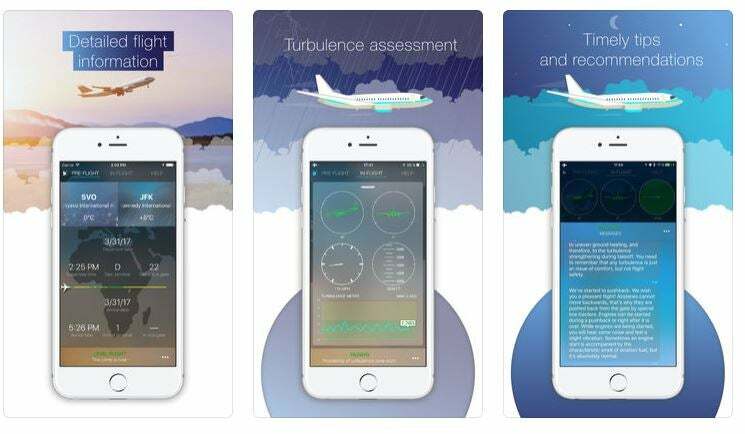 Designed by a pilot to help flyers with fears of turbulence, the free version of SkyGuru offers weather forecasts and turbulence forecasts for the route you’re flying. Although there may be nothing you can do if turbulence is in the forecast, sometimes being mentally prepared can help. 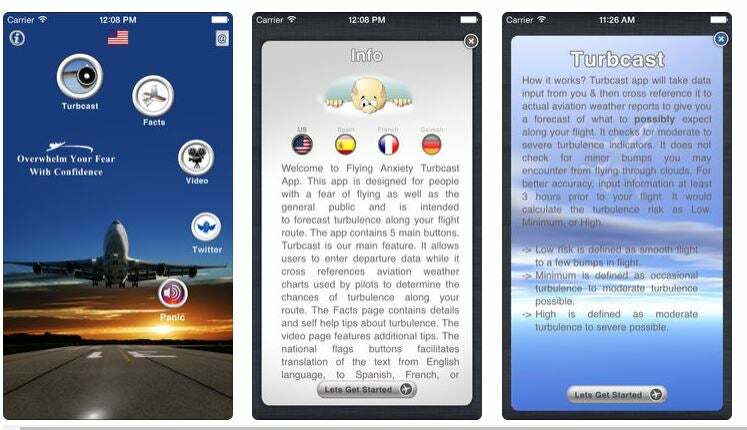 The paid version of the app goes further, giving real-time alerts and explanations of what’s happening during your flight. Users can see exactly where you are in the sky without an internet or GPS connection. Try the free version first, or fork over $19.99 for the full version on Google Play or Apple. Turbcast is all about predicting turbulence and helping you deal with it. While coverage is only available on flights within USA, Mexico, Canada, UK, Western Europe and some spots in the Caribbean, it’s one of the cheaper apps to use if your flights are within these zones. It’s pretty simple: Enter your departure and arrival airport, and the app will provide a report on what turbulence to expect and why it’s happening. The panic button will give you tips on what do if you find yourself in distress. Get the app for $1.99 on Apple. 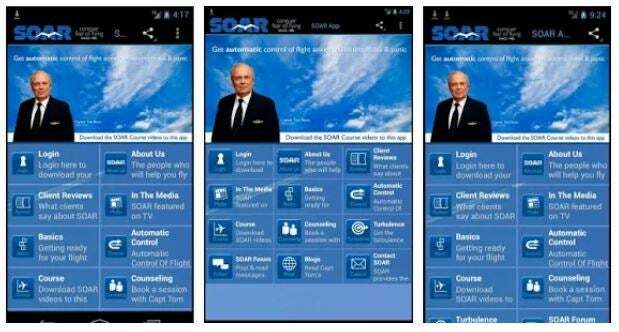 SOAR was designed by a pilot and focuses on explaining everything and anything there is to know about flying, turbulence and planes. Knowledge is power, and hopefully knowing all the details will give you some peace of mind that every small bump you experience won’t lead to disaster. Pay extra to purchase special video and audio courses (starting at $19.99) that can help you overcome your fear of flying, control in-flight anxiety, learn about turbulence and more. Clicking on the basic button explains useful information to even the most experienced flyers — like sounds the flaps make, all about G-force and why the jetway could be tilted. Get it for free on Google Play and Apple. 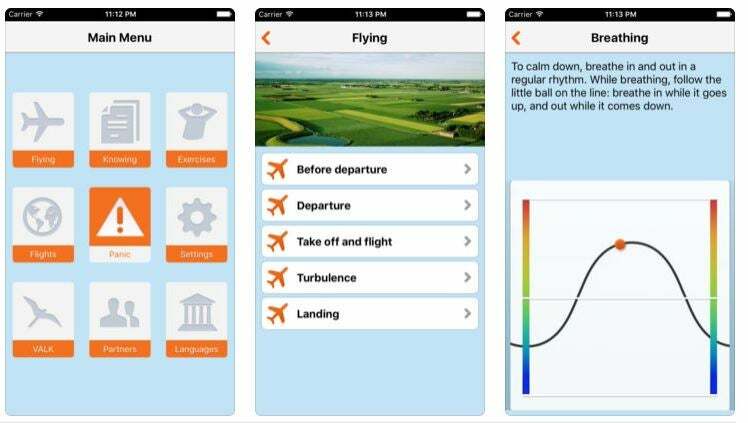 While Calm isn’t directly related to flying, having a meditation app to use in-flight can reduce anxiety, fear and stress during tense moments. 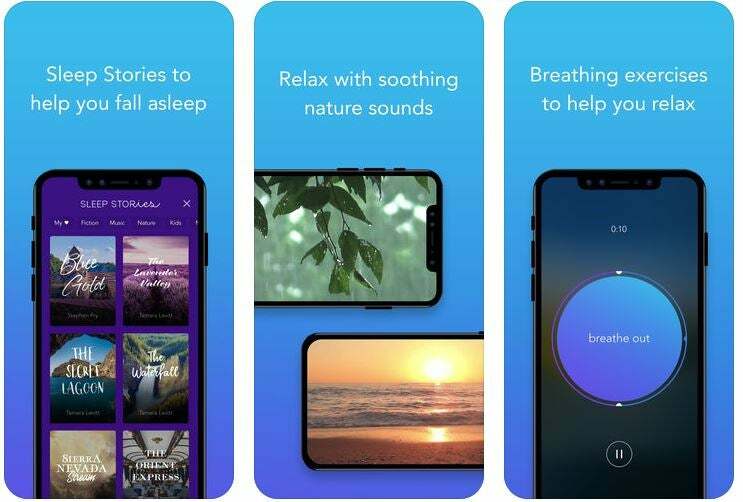 The app has meditations ranging from three minutes to 25 minutes on topics such as calming anxiety, breathing and happiness — to name a few. For those who use music to relax, Calm also comes with music options for focusing, relaxing or sleeping. A limited selection of meditations/music is available for free (which you can download to use when you’re offline or in-flight), or the premium version of the app will cost you $59.99 per year. Get it on Google Play or Apple.